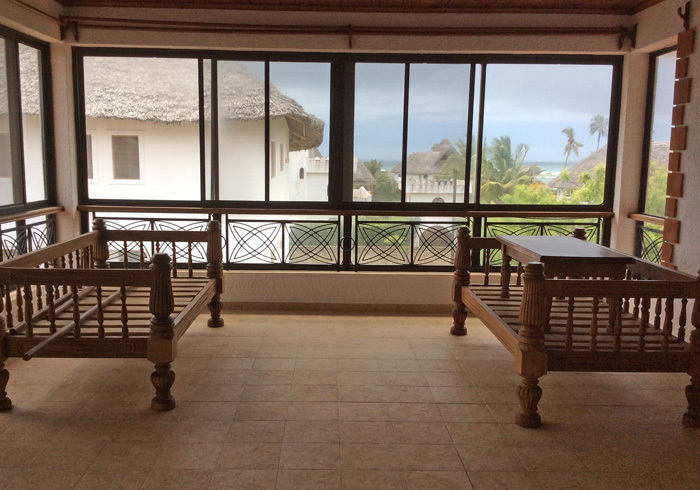 This lovely European-style house is set in 500 square meters of garden - one of four identical properties next to eachother, only a few minutes walk from Watamu Beach. On the ground floor are two double bedrooms with ensuite shower rooms, both with air-conditioning. 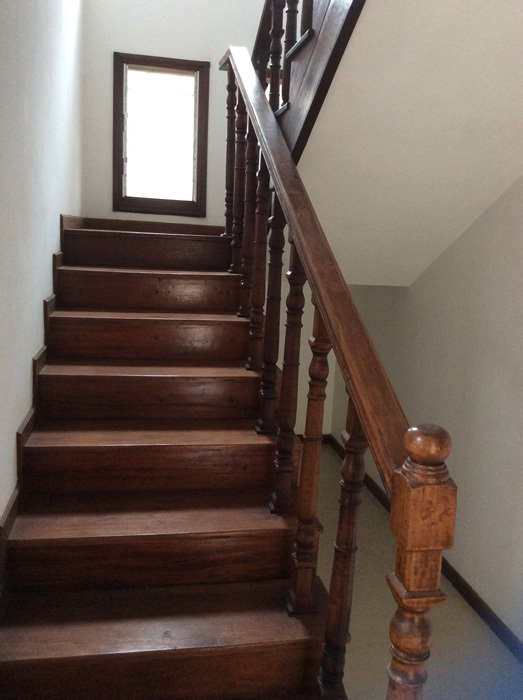 A lovely wooden staircase leads you up onto the first floor where there is a large open dining/kitchen area, a small verandah, a store/pantry, one guest bathroom and a further sitting/TV room. 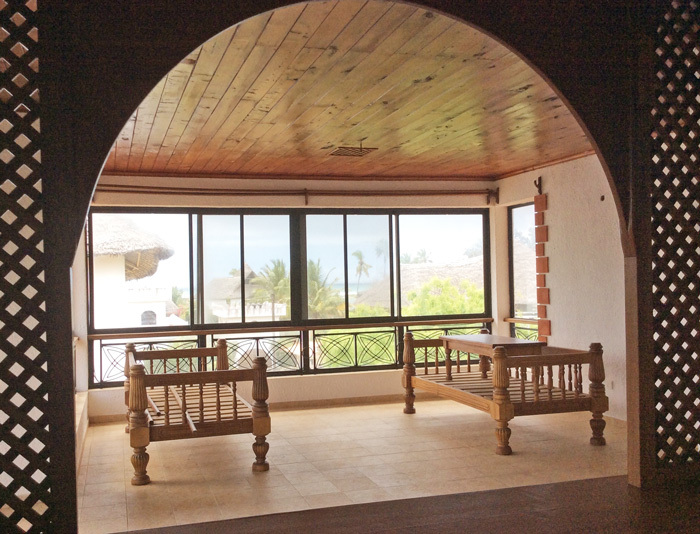 The third floor features a further ensuite bedroom and a verandah area with large glass windows from where the sea can be seen in the distance. 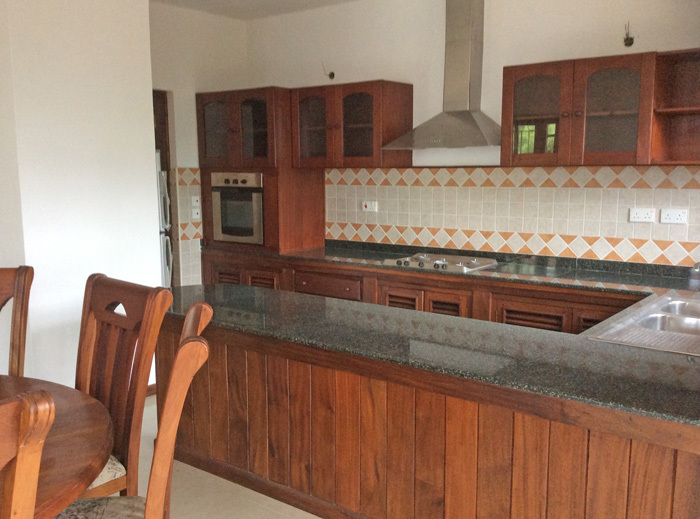 In addition there is a small kitchenette area and a lovely wooden ceiling. The property is on mains power and water, includes a generator house, laundry area and gate for a car with garage. 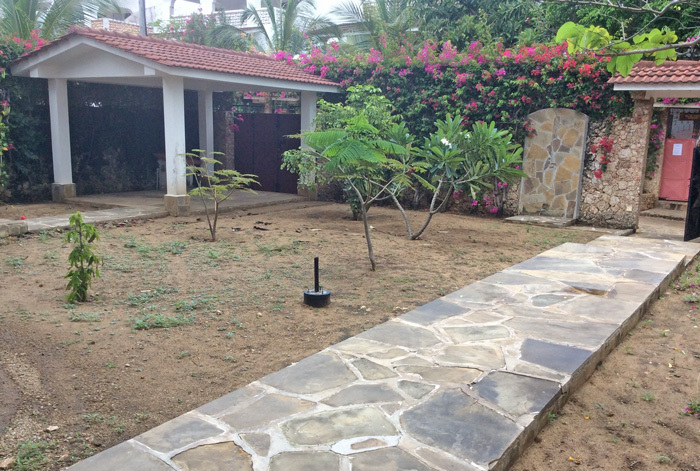 The property is tiled throughout and is for sale fully furnished.